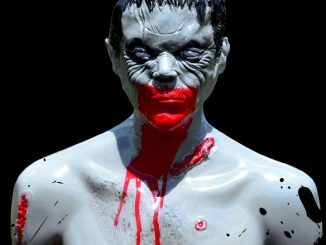 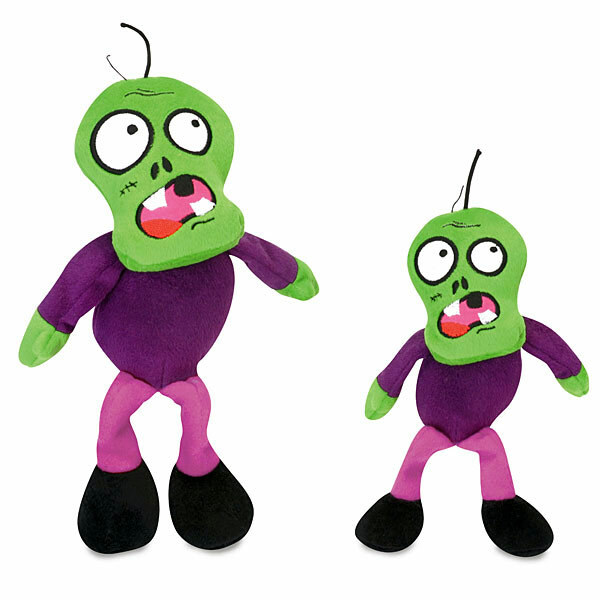 If you are looking to train your dog for the zombie apocalypse, check out these neat GoDog Plush Zombiez. 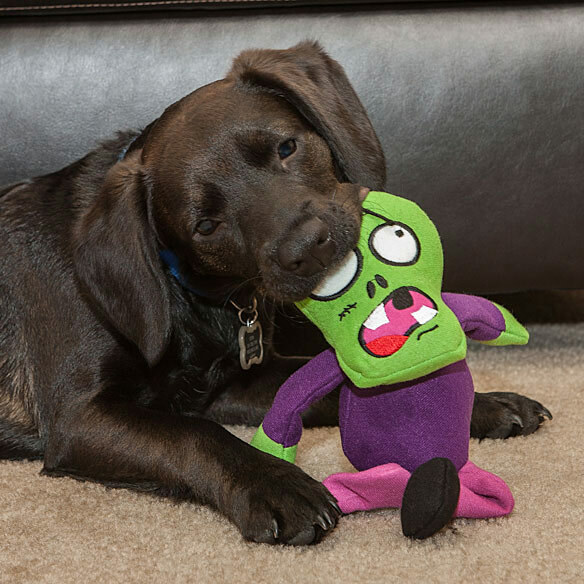 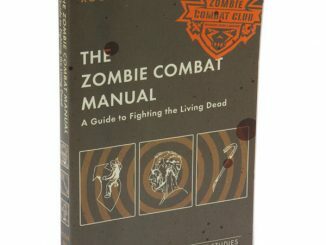 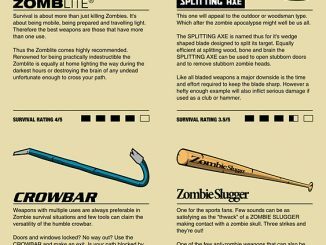 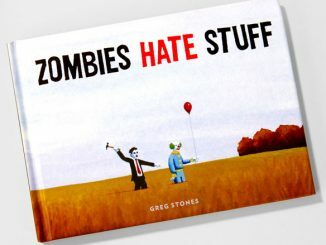 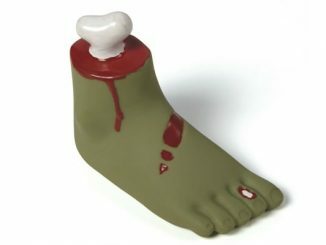 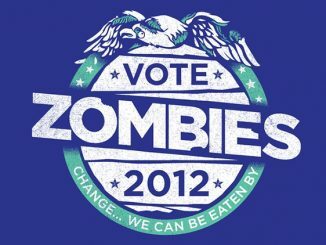 They are a great way to teach Fido to tear zombies apart. 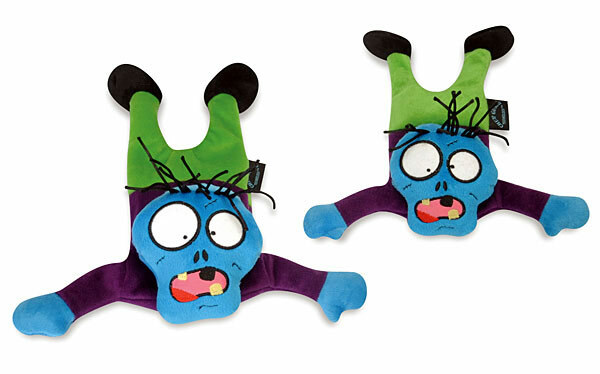 These dog chew toys have a flat body with no stuffing and a crunchy Mylar texture that simulates brittle bones. 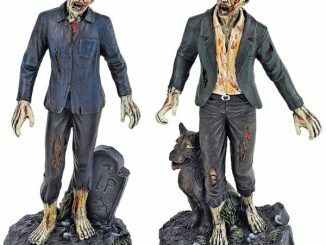 After your dog plays with this for long enough, he is going to want to take down some full sized zombies one day. 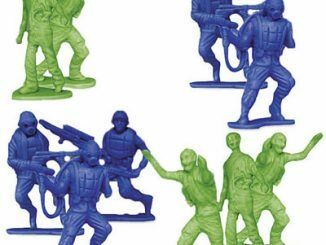 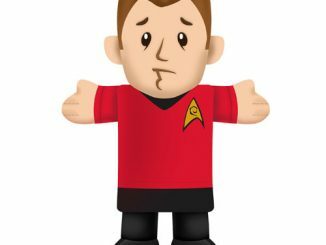 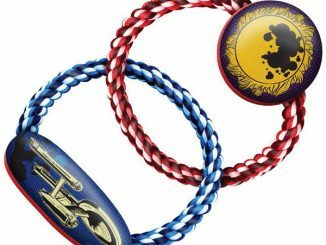 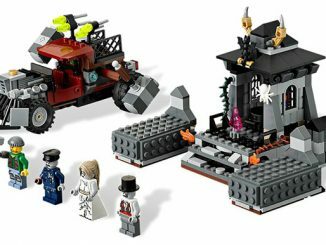 They are $9.99 to $14.99 from ThinkGeek.com.